Early Treatment Intervention: When, What and For How Long? 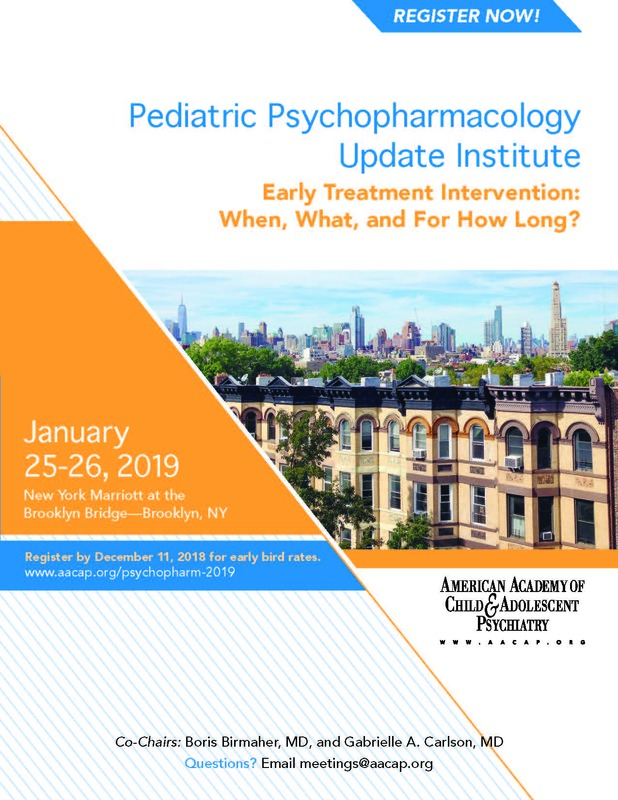 AACAP’s 2019 Pediatric Psychopharmacology Update Institute: Early Treatment Intervention: When, What, and For How Long? links the latest findings on the treatment of ADHD, substance abuse, depressive disorders, irritability, suicidal/self-injurious behaviors, psychosis and schizophrenia, anxiety, and high-risk mood and psychotic disorders. Online registration closed. Please go to the Registration Desk on the Second Floor of the New York Marriott at the Brooklyn Bridge to register onsite.